Lecture Title: How Less Health Care Can (Sometimes) Be Better For You: Promoting High Value Care. Date: Tuesday, April 24th, 2018. Location: Think Corner (Tiedekulma) at the University of Helsinki. Click here for more information regarding Think Corner, and here for more information regarding the event. Please click here for Editor-in-Chief Rita Redberg’s podcast for The BMJ at the Preventing Overdiagnosis 2017 Conference. Dr Redberg’s research interests are in our use of medical procedures and devices. She studies the regulatory process for medical devices and the strength of evidence that supports them, particularly high-risk devices, both before and after they are marketed. She is a strong proponent of high-quality data to support safety and effectiveness for medical devices, in order to provide the best quality and appropriate medical care and advice. Dr Redberg has testified before Congress multiple times on these issues. 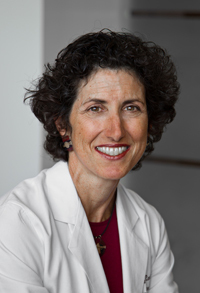 She is the Editor-in-Chief of JAMA Internal Medicine, a highly ranked international medical journal, and spearheaded the Less is More series highlighting areas of health care with no benefit. Dr Redberg also serves on the Medicare Payment Advisory Commission, which advises Congress on medical payment policy. For more information regarding Editor-in-Chief Rita Redberg, please click here.